Yes. 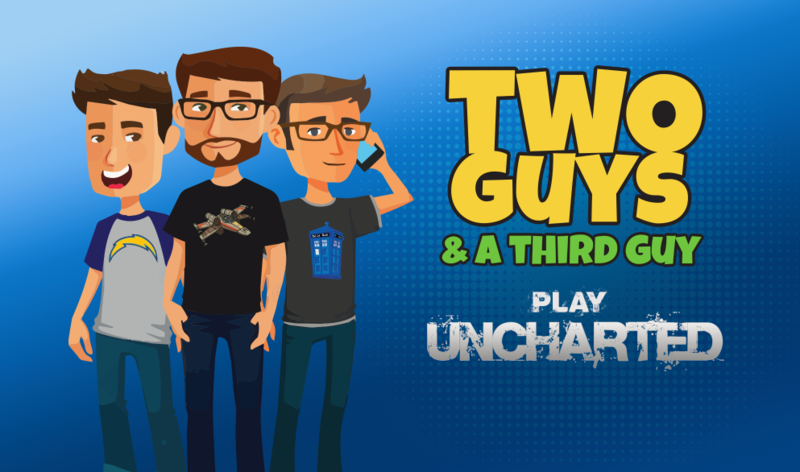 For some reason, three jackasses are going to play and stream Uncharted 1, 2, and 3 back-to-back with no breaks. Think “Desert Bus For Hope” but with WAY better games and absolutely no charitable donations. Or money of any kind, really. Trusty “Agents of GUARD” agent Bobby “Banjo Bob” Johnson and two of his most excellent friends – Shane “Spritzer” Smith and Justin “Crumbles” Restaino – are positively titanic fans of that swashbuckling, crypt-banging, unabashedly-Indiana-Jonesin’ Naughty Dog franchise. And, to celebrate the arrival of “Uncharted: The Lost Legacy,” they’re going to sacrifice their bodies and minds upon the altar of live streaming. Why? Well, back in the halcyon days of Uncharted 2’s original release, Agent Bobby had such a good time with the game that he hosted group games at his house in an effort to hook literally anyone he could lay his mitts on. Fun Fact: Agents Justin and Nathan Schulz took part in these mook-murdering all-nighters, as did the participants in question, Shane and Justin. On Saturday, August 5th at 10am PST, we will attempt to recreate this magic by cramming WEEKS of game sessions into two days. Come join us on Twitch. Ask questions on the stream, make us do silly things, and watch us take shots of absinthe every time someone hands off the controller. Oh, did I not mention that? Mark it on your calendars, and join three smartass geek dudes for what can only end in tragedy and grisly triple homicide.